IRELAND’S LARGEST THEATRE, the Grand Canal Theatre in Dublin’s docklands, is to be renamed next year in a deal worth around €4.5m. Bord Gais Energy today confirmed it has secured a commercial partnership with the venue’s owners Live Nation to rename the facility as the ‘Bord Gáis Energy Theatre’. The deal takes effect next year. The deal will see the energy provider access to free, discounted and advance-access tickets for performance at the venue, which BGE intends to make available to customers in order to promote customer loyalty. A statement from Bord Gáis confirming the deal did not say how much money had changed hands, but said the provider would seek to get “over €4.5m of media value” through branding on tickets and other materials advertising performances at the theatre. The deal will also see Bord Gáis Energy become the official energy provider for the theatre and for other Live Nation venues, which include The O2. Live Nation chief executive Mike Adamson said he was confident that the “innovative partnership” could set a new standard for similar naming sponsorships. Bord Gáis CEO John Mullins said the investment would be funded from its existing budget, and that the partnership would bring “a range of unique benefits to Bord Gáis Energy customers”. 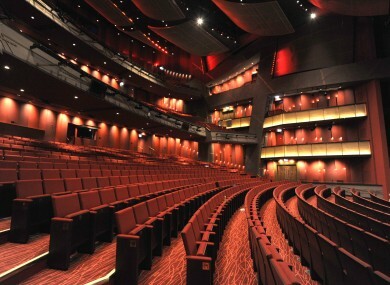 Email “Bord Gáis secures naming rights to Grand Canal Theatre”. Feedback on “Bord Gáis secures naming rights to Grand Canal Theatre”.